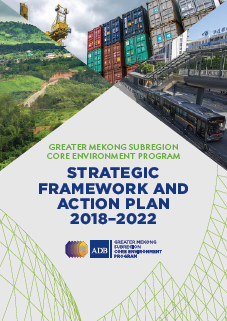 Environment ministers from the six countries of the Greater Mekong Subregion (GMS) endorsed the Core Environment Program (CEP) Strategic Framework and Action Plan 2018-2022 in Chiang Mai in February 2018. The program, which was launched in 2006 and administered by the Asian Development Bank (ADB), is embarking on its third phase. The new 5-year environment strategy will focus on green technologies and sustainable infrastructure, natural resources and ecosystem services, and climate resilience and disaster risk management. These interventions will leverage the program's competencies on developing and supporting investment projects (such as the Biodiversity Conservation Corridors project, Green Freight Initiative, and Climate-Friendly Agri-Business Value Chain). Priority projects include more than $540 million worth of investments focused on land-use management, waste management, pollution control, and climate-proofing of rural infrastructure.